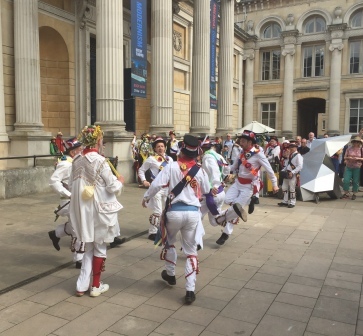 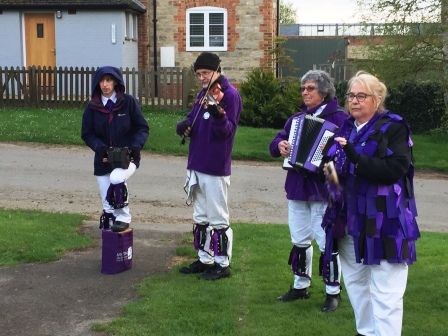 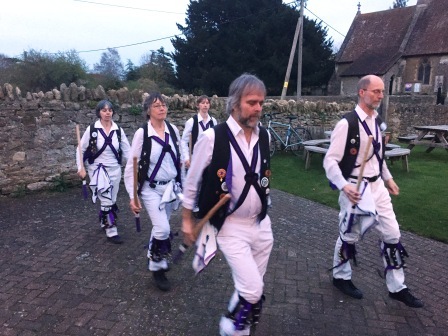 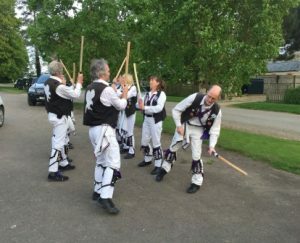 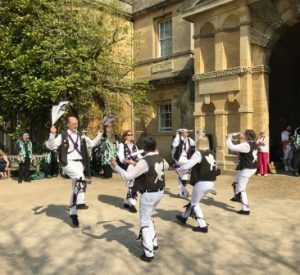 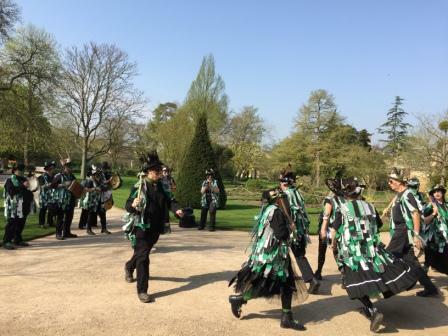 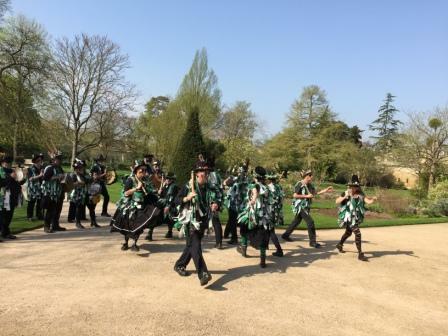 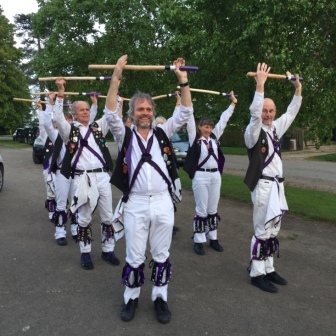 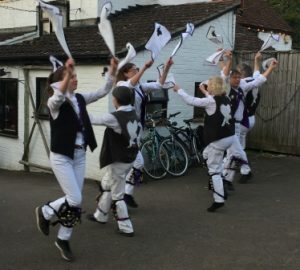 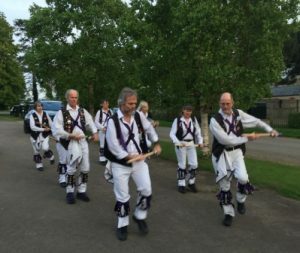 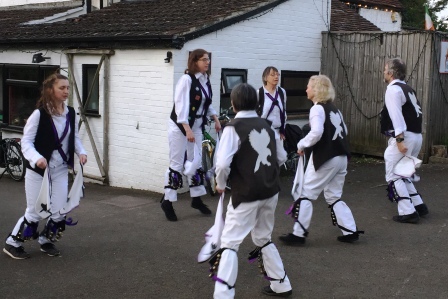 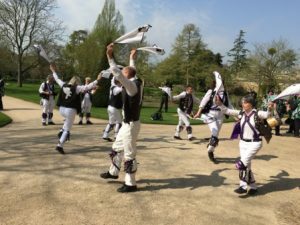 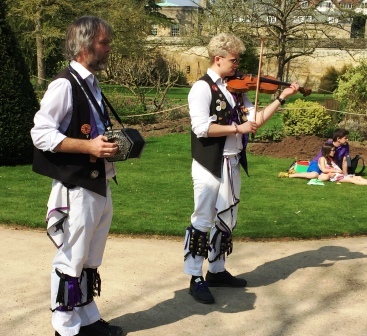 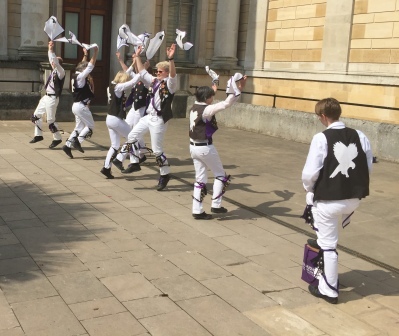 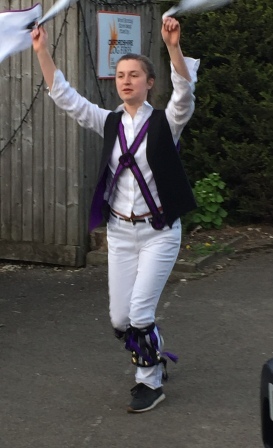 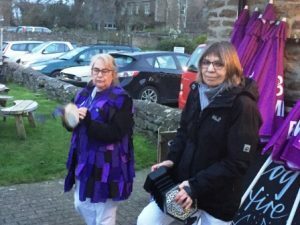 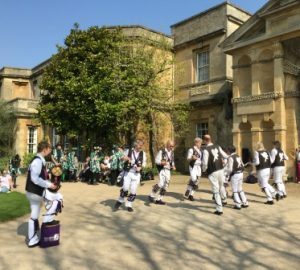 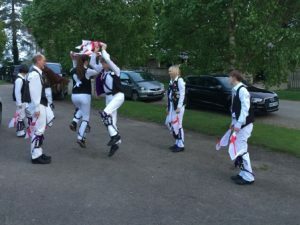 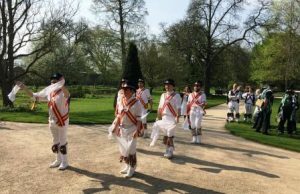 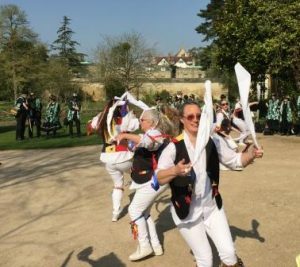 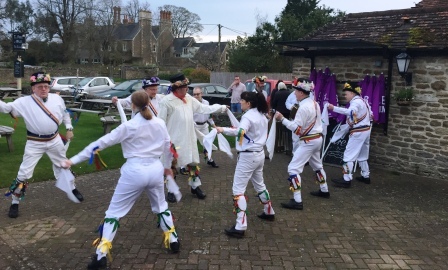 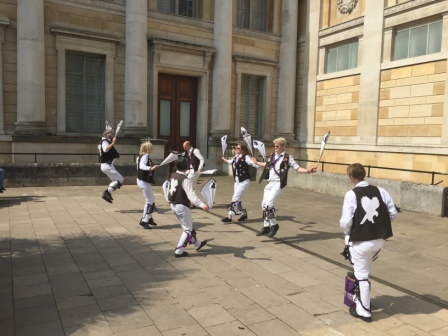 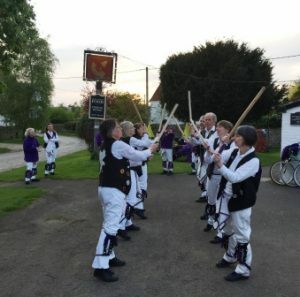 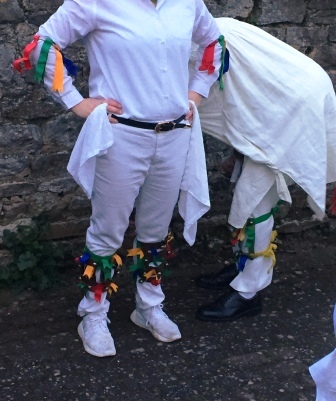 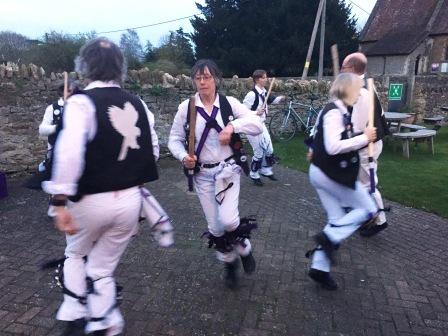 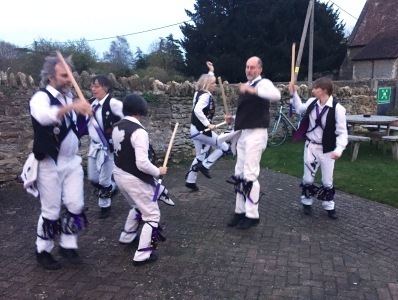 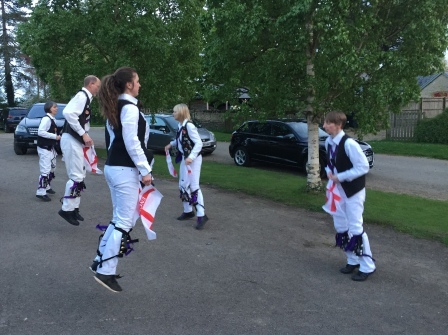 A cold April evening – featuring a new dancer – well done Jo! Jo Havocs with the best of them! 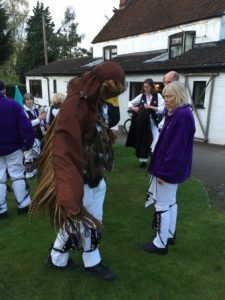 The illustrious band The Buzzard takes flight after a long break – welcome back! 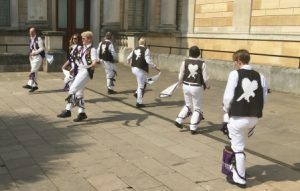 St George’s flags get an their annual airing. 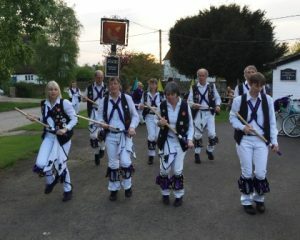 This entry was posted in Dance Outs on April 27, 2018 by Nigel Northcott. Jim and a ‘guest’ – welcome return from swanning it in London Oliver! 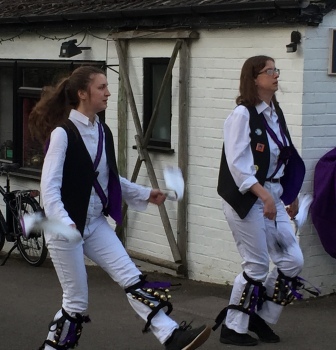 This entry was posted in Dance Outs on April 22, 2018 by Nigel Northcott. 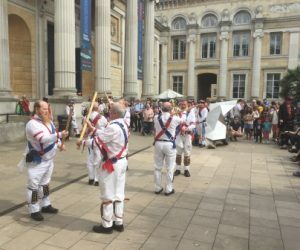 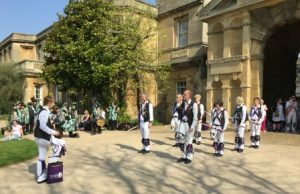 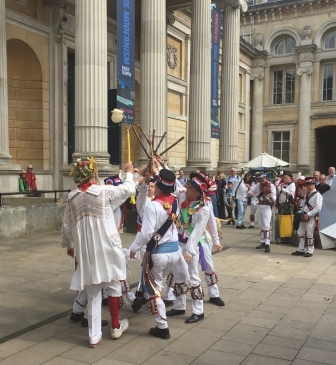 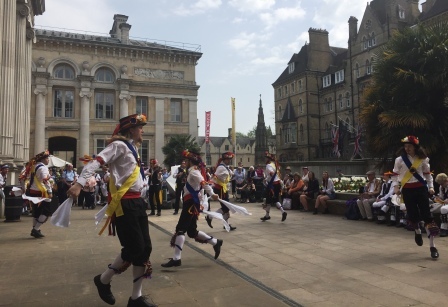 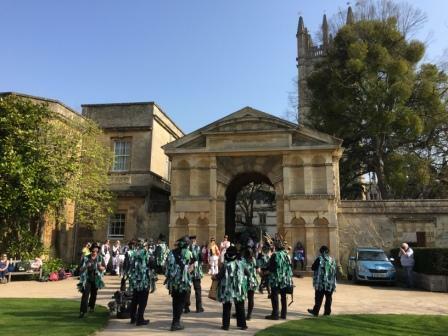 Oxford Folk Weekend starts today. 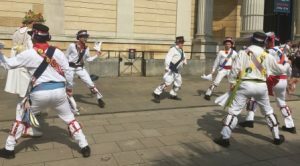 We’re out and about in the City Centre tomorrow. 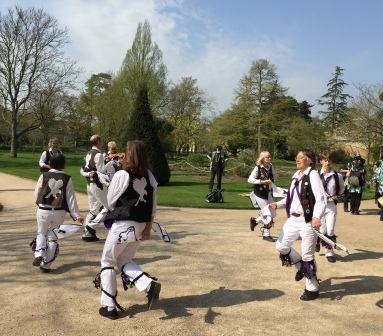 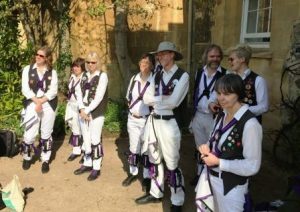 We’ll definitely be at the Botanic Gardens at 10am and the Ashmolean Steps at midday, but may pop up elsewhere. This entry was posted in Press on April 20, 2018 by Jim Hague. 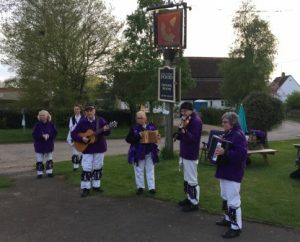 With their new addition! 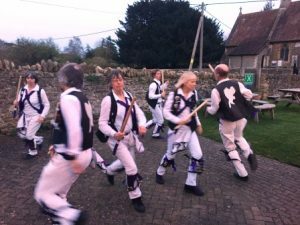 – Dancers with bumps! See pictures above – what is Les doing? Answers on a fiver to Nigel! 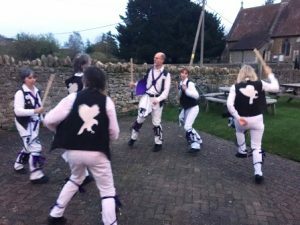 This entry was posted in Dance Outs on April 18, 2018 by Nigel Northcott.